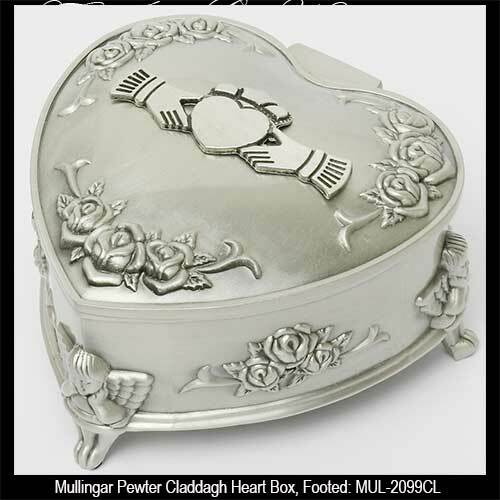 This Irish trinket box features lead free pewter construction along with the Claddagh. 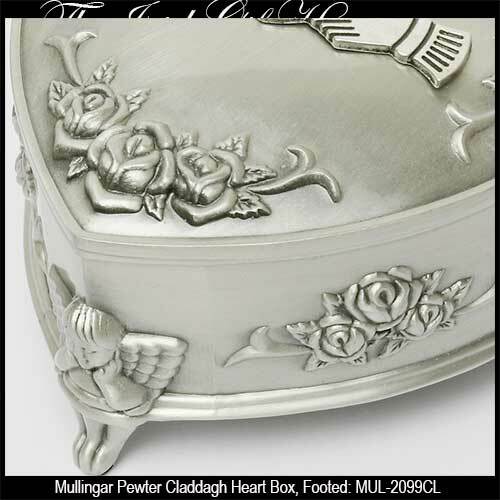 The Claddagh trinket box is further enhanced with angels as the feet and has embossed roses on all sides. 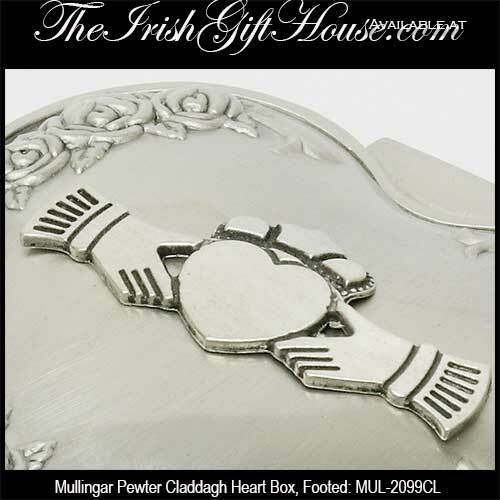 The felt lined pewter box is heart shaped with a hinged lid and measures 3 1/4" x 3 1/4".